Shuruku, you make a very convincing case. Wolverine just broke some laws and is sitting in a Gotham City car enjoying a drink. The Batmobile parks outside and Batman walks into the bar to confront Wolverine. His only prep is that there is a law breaker in the bar, not that it's Wolverine. I think Avengers 1 did what Infinity War accomplished. How were they going to live up to the massive hype they built up? An ensemble from different movies coming together? One can argue the MCU's fate was solidified by the epicness of that movie succeeding. Not only did it succeed, it exceeded expectations. I think its safe to say we were all riding off the coattails of how much FUN Avengers 1 was and Avengers: Age of Ultron was the first time they all reunited since the first. And this time, with an even bigger threat. But then you look at the brass tax...less was at stake at the end (the only city damaged really was Sokovia). IMO Ultron should have had much larger implications (yes if Sarkovia fell that would have ended Earth, but there should have been more loss and destruction before that point). Earth basically was unaware of Ultron, that's how contained he was! Not to mention, IMO, Avengers 1 had no boring parts. It flowed well, it built up suspense, it even had cool character development! Age of Ultron had that long, drawn out, ended up becoming boring scene at Hawkeye's family house which should have been muuuuuch shorter. Funny rraaing this in hindsight. Didn't realize we all liked this film so much when it came out. Pretty funny, my opinion since then has sunk lol. Add Demogoblin to the mix and I'm still giving it to Tony! 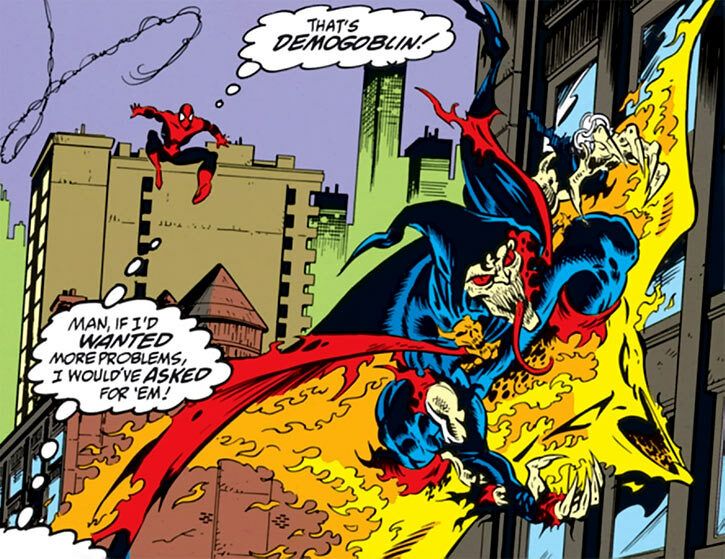 Demogoblin might have some tricks that could beat tony but on average he was just a magic Hobgoblin. Yeah, he had a great design though. Wish they didn't kill him off. I think the main problem was that they kept shoving too many Goblins to add to Spider-Man's rogue gallery. Would have worked if they diverged him to fight different Marvel characters in their own books. Maybe I am being naive but I think a cover with Captain America fighting Demogoblin on the cover would cause some intrigue for those looking down a comic book aisle. JAYSUS at some of these scans!! 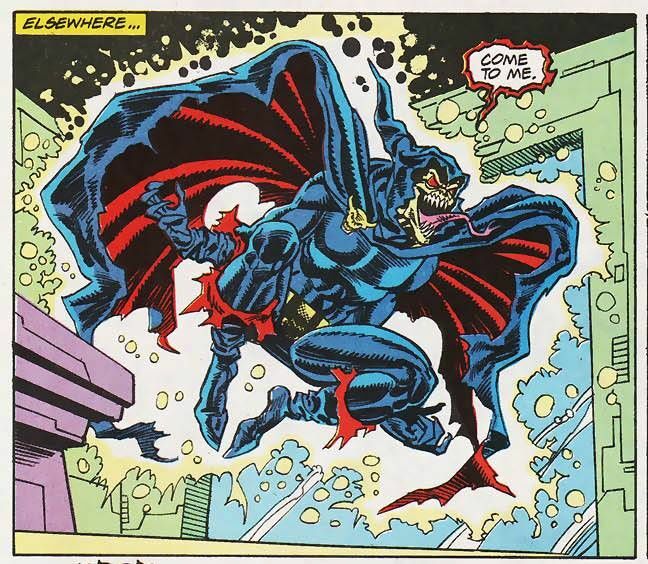 General Comic Discussion / Re: What issue is this in!? Hercules has the stamina and strength advantage. He has even MORE experience than Roshi. Roshi has the speed advantage, has a lot of tricks, and incredibly powerful energy blasts. If anyone is curious to see what Master Roshi is capable watch, watch Jackie Chun vs Tien Shinhan. Jackie Chun was Master Roshi's disguise. Not to mention one of the best fights in Dragonball, Z, Super, etc. Gonna think on this one, dont have an answer yet.